The bank thinks the AI adviser should free up staff to deal with more complex complaints. Customer service can be hard work. At least that’s what RBS has found in the past – it did after all get fined £2.8m back in 2011 for failing its customers by ignoring legitimate complaints. So CEO Ross McEwan has decided to take a new approach to improving this, by circumventing humans altogether. Before you let your imagination run away with you, Luvo is not in fact a Terminator-style android that absolutely will not stop until your customer service query is answered satisfactorily. Rather, it's a text-based system similar to WhatsApp, which will be rolled out as a way of helping customers who have fairly straightforward concerns like a need to unlock their PIN. There are a few reasons for bringing in a robo-adviser. While customers are notoriously intransigent about swapping accounts, challenger banks and digital banking are growing and RBS may feel the need to demonstrate technological prowess, in spite of legacy troubles. An AI adviser could also be a route to answering more customer queries while cutting costs. It’s interesting timing for the announcement considering RBS unveiled its eighth successive net annual loss last week – what better way to distract people than with robots? Though this service won't necessarily spare you the frustrating process of being passed from adviser to adviser when you have a particularly tricky query. Luvo will refer customers to an expert in the bank if it’s faced with a question it can’t answer. So far, in pilots with staff it's dealt with customer problems without requiring a human adviser only around 30% of the time. AI is often rapidly improved, but Luvo will need a much better success rate to go down well with already irate customers. At a time where there are so many concerns over cyber security, both for businesses and consumers, sharing your details with an automated service could also prove unpopular. 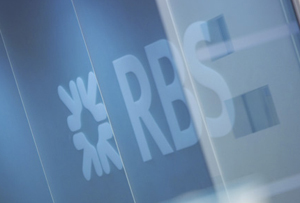 However digitally savvy McEwan hopes the new robot will make RBS seem, his primary hope (and his customer service staff's primary fear) will be that it will help to cut costs. If Luvo works it kills two birds with one stone in that sense, but it will need to learn fast if it’s going to win over customers.